Beautifully carved counter height stool. 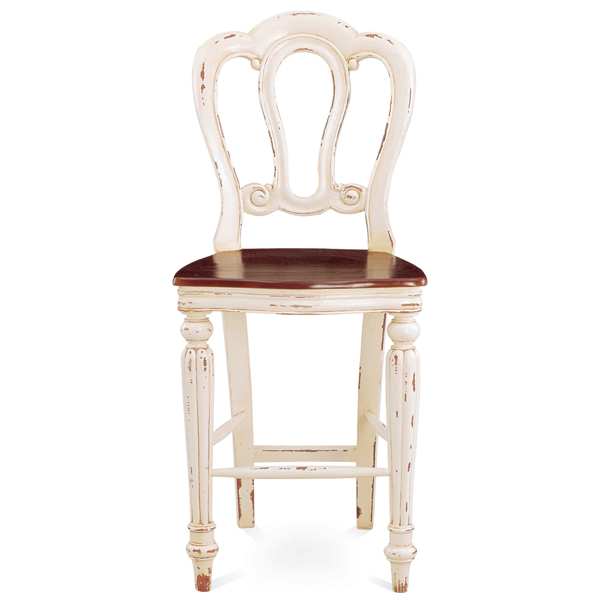 Shown in White Heavy Distressed with seat. Shown in Aged Classic wood stain finish. Handcrafted from solid premium mahogany.